Wayne Brooks has been involved in a large number of real estate transactions and focuses on delivering a good service to vendors to help them achieve their goals. Wayne's knowledge of farming combined with his professionalism and attention to details is a great combination to help vendors and buyers alike achieve their goals. Wayne is an active member of the community across a broad range of committees and community activities. Wayne has been involved in a number of sales and marketing campaigns of rural properties in the Manawatu/Rangitikei region, resulting in successful sales above market value for his satisfied vendors. 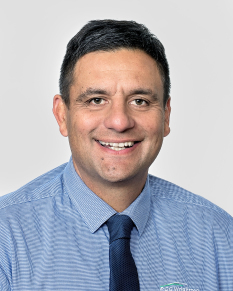 Wayne and his family reside in Feilding and he looks forward to helping prospective clients through the sale and marketing of their properties.